Budget welcomes you to the beautiful island of St. Croix! Budget's rental counter and cars are located right at St. Croix Henry Rohlsen International airport, Plus there are locations in Christiansted near the Seaplane ramp, and, for cruise passengers in Frederiksted across from the Pier. At Budget you'll find a friendly, caring staff and the newest models of cars, SUVs and vans. Budget Car Rental is a St. Croix owned business, so you are assured of personal attention and quality service. 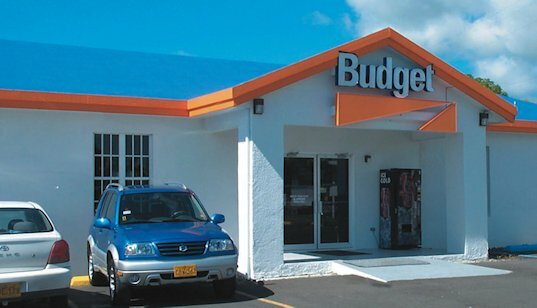 Budget has been an independent franchisee on St. Croix since 1977. Budget's rental counters are conveniently located, one right at the St. Croix Henry Rohlsen International Airport, and in Christiansted near the seaplane ramp, and for cruise ship passengers in Frederiksted across from the Pier. Budget will also deliver your car vehicle to your hotel. Looking to Buy? Get great deals on Budget's special purchase, pre-owned, and fleet vehicles. Please patronize our local businesses and friends! Mention Budget when you contact them! St. Croix in The U.S. Virgin Islands is America's Paradise and has near perfect weather year 'round. ©Budget St. Croix 1999-2016 All Rights Reserved.